Today’s builders and property managers are more concerned than ever about improving air quality, but they also need to reduce energy costs and minimize the environmental footprints of their buildings. They want to decrease their reliance on fossil fuels and other natural resources, while making their buildings as healthy, energy efficient, and earth-friendly as possible. One tool developed to work toward these objectives is the Leadership in Energy and Environmental Design (LEED) rating system, guiding us toward buildings with little or no net energy use and environmental impact. 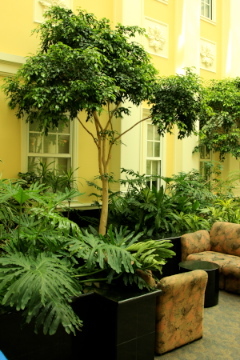 One way to do so is to meet the requirements for Green Earth – Green Plants certification, the only national environmental standards program specifically for interior plantscape companies. Developed by LEED AP consultant Kathy Fediw, the Green Earth – Green Plants program consists of a rigorous 17-page assessment, with documentation required, to address each company’s own facilities, vehicle usage, horticultural practices, staff education, and community involvement. Green Earth – Green Plants certified businesses utilize new technologies to automatically control watering and thus reduce unnecessary service calls. They also actively recycle a wide variety of their materials, minimize fossil fuel consumption, conduct extensive employee training, and use non-chemical methods to prevent insects and keep plants thriving. “We are proud to recognize their achievements and know they will set an example for other businesses to operate in a more earth-friendly manner,” said Fediw. And, that is what it’s all about — people and businesses working together to improve our lives and our planet earth. By John E. Williams with special thanks to Johnson Fediw Associates and Phillip’s Interior Plants & Displays, one of the first twenty businesses to be Green Earth – Green Plants certified. 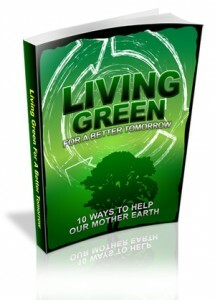 For additional information on environmental strides among interior plantscapers, visit greenplantsforgreenbuildings.org. For more information on how Phillip’s Interior Plants & Displays can improve your Chicago area building, go to Phillip’s Interior Plants or if you are in the New Jersey or Eastern Pennsylvania and have any question on plants for your office or home, contact Growing Expectations to set up a free interior plantscaping consultation at info@interiorofficeplants.com.